With September’s cooler weather setting in, kids are likely having summer amusement withdraws. Fall is a perfect time for families to escape the school routine and get away with a Skyline Inn waterpark package full of enjoyment for the whole family. With indoor connection to the Fallsview Indoor Waterpark, the Skyline Inn is ideal for a day of slashing fun. 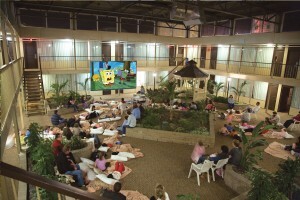 On complex, the Iwerks 4D motion theatre offers exciting family entertainment with short films such as Happy Feet and Journey 2 “The Mysterious Island”. Next door to the theatre is Adventure City – an arcade where families can challenge themselves to a game of glow in the dark mini putt, the interactive swat bus tour ride, and so much more! 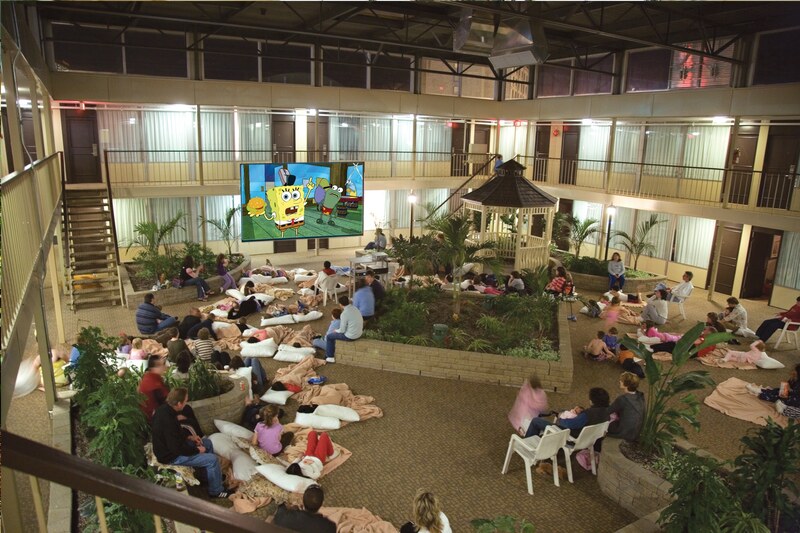 To conclude a busy day spent playing in Adventure City and in the tropical temperatures of the Fallsview Indoor Waterpark, everyone is invited to bring their pillow to the indoor courtyard to enjoy the nightly blockbuster movie and freshly served popcorn.